Decorate Roylco Paper Dolls with crayons, markers, or glue on clothing from scraps of fabric and yarn. Use Design Paper for exotic cultural outfits. 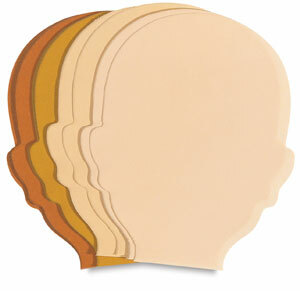 Each pad contains eight different skin tones. Dolls are 10-1/2" tall. The face pad measures 5" × 8".